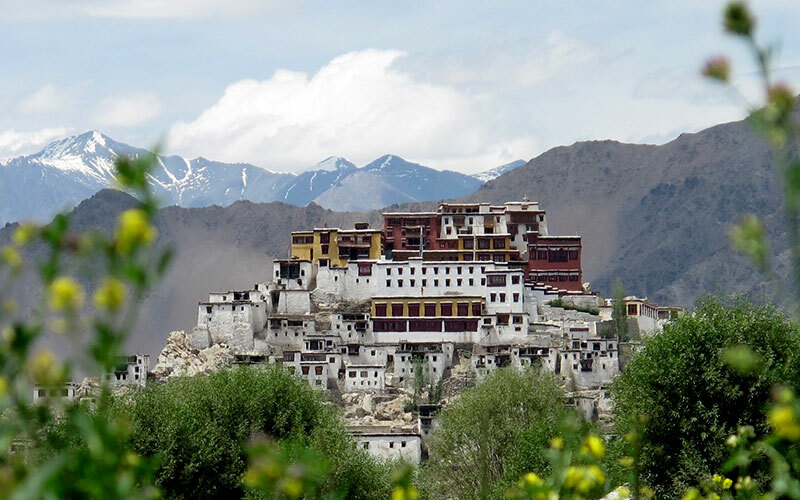 Leh, with its austere beauty and incredible landscapes, is in itself a must-see destination. The best time to visit is the month of July because the weather is pleasant and the days are longer making it perfect for enjoying this picturesque mystical land. 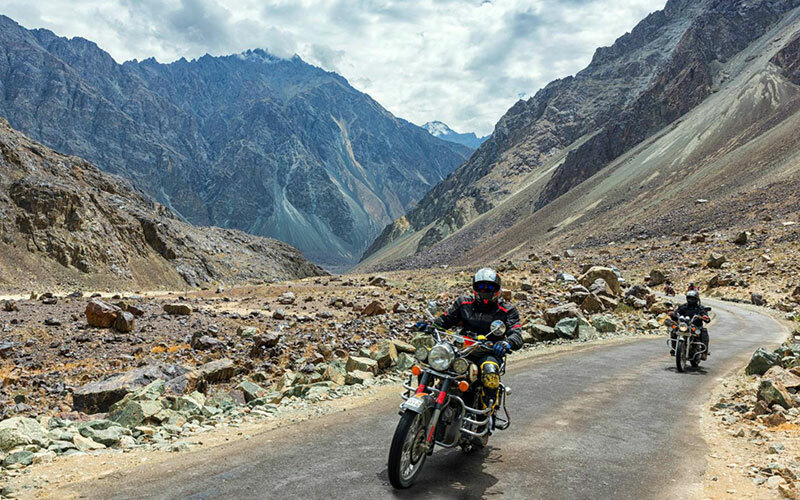 Leh is popular for trekking, biking and road trips but there is more to it. It is the Hemis Festival in Leh, which is also observed in the month of July. This fascinating festival is held at the Hemis Gompa, the largest monastery of Ladakh. The Festival: The Festival of Hemis is the celebration of the birthday of sage, Padmasambhava; or Guru Rimpoche. Believed to be the reincarnation of Lord Buddha, he dedicated his complete life towards the spiritual betterment of all living beings. Celebrated at the Hemis Gompa, the ceremonies begin at the dawn and the Thangka of Rimpoche Dadmokarpo is displayed in all its glory. 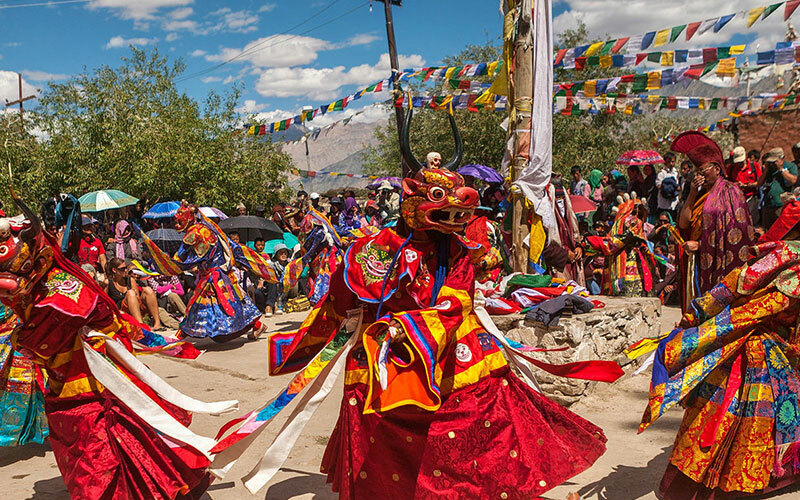 The monastery lamas in richly adorned masks performing to a cacophony of drums and long horns. Further, followed by masked dances by Chhaams and also the very famous dragon dance, portraying mythological stories & folklores that show the triumph of good over evil. The recitals of traditional music is ambrosial. This is a two-day festival that witnesses the footfall of large number of tourists and Buddhism followers from all over the world. 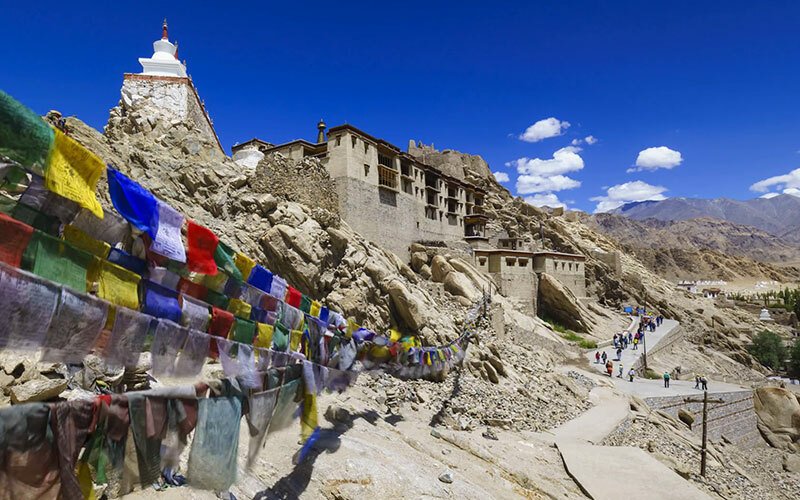 When in Ladakh, why not explore this land of surprises? Max Holidays present in all-in-one 14 days tour package for Ladakh that will cover destinations like Delhi, Agra, Leh, Hemis, Shey, Thiksey, Khardongla Top, Nubra Valley, Dah Hanu, Uletokpo, Lamayuru, Alchi, Likir and more. The entire trip is an adventure jaunt that will keep you on our foot. Festivals, cultural exposition, adventure trips, trekking and loads more is here. Upon arrival at Delhi airport our representative will welcome you and transfer you to the hotel for check in and night stay. Early morning with packed breakfast, we will drive to Agra. On arrival in Agra, start the tour with meeting our guide waiting for us at Taj Mahal. Visit the Taj Mahal built by great emperor Akbar in memory of his beloved wife Mumtaz Mahal. Morning visit to Taj is quite interesting as the dome of the Taj is believed to change the colours with the changing directions of sunrays. Afternoon, we visit Agra Fort, built by Shah Jahan as military strategic point and the royal residence. The fort has many chambers to pay a visit like Sheesh Mahal – royal dressing room, Diwan-i-Am – where the emperor used to meet the local people, Diwan-i-Khas - where the emperor used to welcome and meet the rulers, and emperors and Musamman Burj – a balcony with the view of Taj Mahal. After lunch we will drive back to Delhi enroute visiting Fatehpur Sikri built by Mughal emperor Akhbar, when he decided to shift the capital here, but due to scarcity of water, shifted it back to Agra. This fort also consists of Diwan-i-Khas, Diwan-i-aam and Bulan Darwaja (gate of victory). Continue our drive back to Delhi and check into your hotel. After breakfast, transfer to the airport to board flight to Leh. Leh is big and most developed town of Ladakh. Meet and assist upon arrival at Leh airport and transfer to your hotel. Rest of the day is at leisure to get used to the atmosphere. In the evening, take a short walk around Leh bazaar. Overnight is at Hotel. After an early breakfast, we leave for Hemis, which is one of the most famous monasteries of Ladakh region built during the mid 16th century. Its location also adds a point in its popularity as situated on the hill and surrounded by the green mountains. The monastery is known for the library which has a collection of tibetan books, well preserved Thankas and copper gold statue of the Lord Buddha, various stupas made of gold, silver and embedded precious stones. Afternoon drive back to Leh, where have a hot lunch at hotel. Later we will take a short drive to Saboo which is the famous for the oracle and springs. In the evening, return back to the hotel. Dinner and overnight at hotel. After breakfast, we enjoy the second day of festival at the monastery. We will see the dancing of lamas of the monastery dancing with the big colourful masks on their face on the beats of drums. Afternoon, we will drive to Thiksey Gompa which is situated on the hill top and is a finest example of Ladakh architecture. The gompa has many temples which exhibit many religious and interesting objects, paintings, Thangkas, swords and engraved pillars. Also visit Shey Palace built by the Ladakh king, and was a residence of royal family. Though some part of the palace is now in ruins, but some have been maintained but not used regularly. The place is also famous for the Maitreya Buddha (Buddha of future) in meditation posture. In the evening, we will return back to Leh. Dinner and overnight is at hotel. 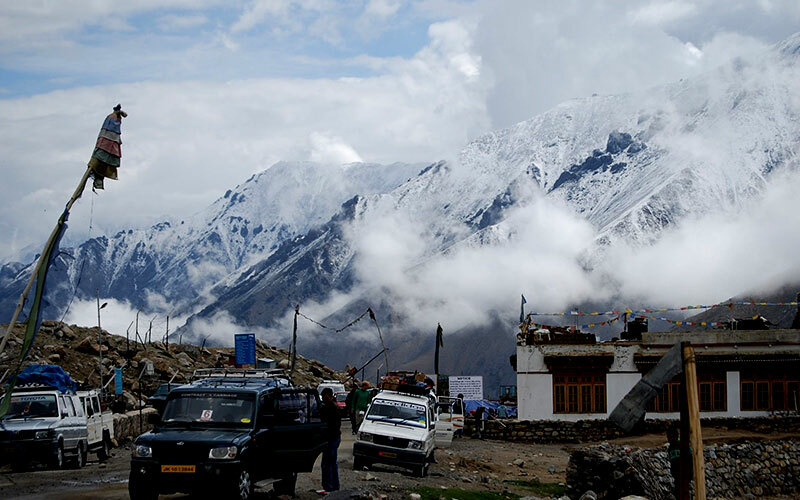 Today we will drive to Nubra Valley, passing through the highest roads Khardongla pass which is 5600 meters. Continue our drive where visit the famous for its hot sulphur spring in Panamik. 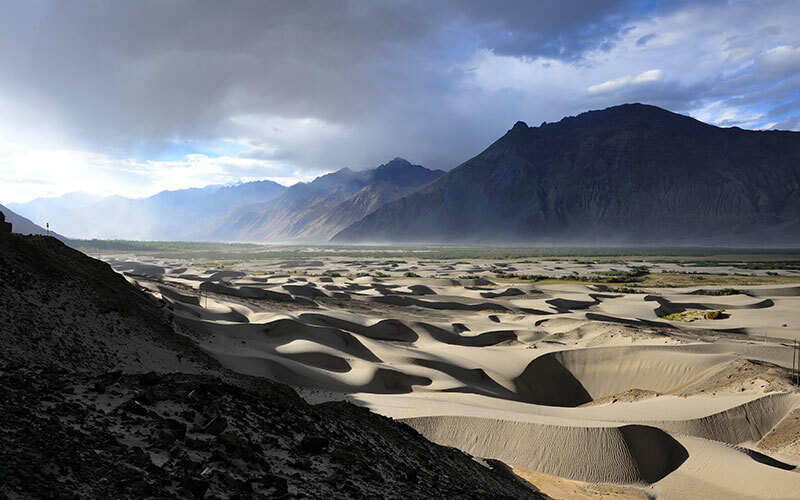 Upon arrival in Nubra Valley, check into your camps. Dinner and overnight is at hotel. Following breakfast, we drive back to Leh. By the lunch time you will reach into the hotel, enjoy lunch at the hotel. Afternoon is free for own activities. Today we will leave for Dah Hanu valley, which are two villages of different tribes called Drokpa Community. They came to this region 2000 years ago, as a part of Alexander the Great army. From here, we will continue to drive to our camp site. After breakfast, we ride to two hours drive, which will take us to the Lamayuru. The view on the way to Lamayuru is the most spectacular view known as Moon Land. Lamayuru Gompa is one of the oldest and largest Gompa where 400 gompas are used to live during ancient times. The monastery houses many Thangkas. Following our visit to Lamayuru Gompa, we will drive to Leh, while enjoying the scenic beauty of Leh. On arrival, check into your hotel. In the evening return back to the Uletekpo. Overnight is at Camp. After breakfast, drive to Alchi monastery, which is the only monastery on flat ground and surrounded by the lusg green grounds. Due to greenery the lands are fertile and covered with Apricot trees. Alchi is also famous for its monastery and temples, which consist of many small sculptures of Buddha. Also enjoy the local villages at the Alchi which offers the small soveniers shops and restaurants. The Buddhism is not practiced in the Alchi now, as the monks are moved to Likir from Alchi, so our next stop will be the Likir monastery belongs to the Gelukspa Order. It is a house of 100 monks. The ancient monastery originally of the 11th century, was destroyed in fire and in 18th century it is reconstructed again. It has a collection of thankas, old dresses and manuscripts. Later drive to Leh and check into our hotel. Dinner and overnight is at Hotel. 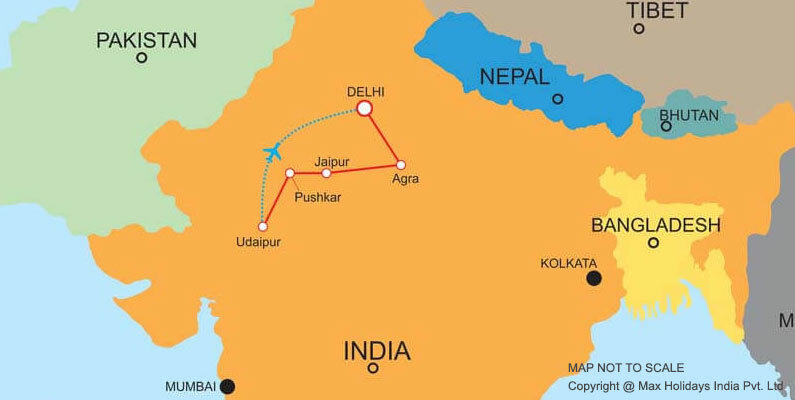 After breakfast, transfer to the Leh airport to board your flight to Delhi. On arrival at Delhi airport you will be met by our representative and transferred to a hotel and night stay.